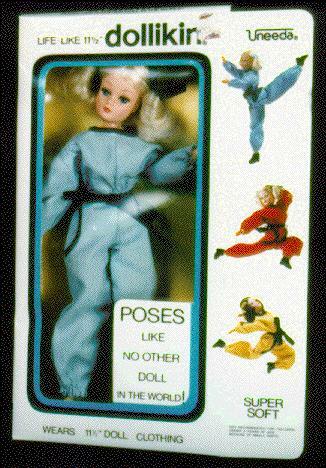 Dollikin, by Uneeda, 1982. This doll has the exact same headmold as the 1970 Dollikin. But her body is completely different! It appears to be made out of foam rubber (not kiddin! ), perhaps she has wires inside to allow the doll to pose. This is the only example I have ever seen, so I don't know how many haircolor variations there are.